Hazara People: Commentators for HazaraPeople have recently reported from Behsood that the Kochi tribal nomadic Pashtuns are armed and equipped with heavy weapons and have arrived in Behsood and Daimirdad pastural lands and hillsides. This is one of the most testing times for the Hazara population this year as the Kochis (nomadic Taliban) come to them as an additional source of oppression aside from the Taliban itself. This is the fourth continuous year that the Kochis invade Hazara lands in the Spring season; they kill Hazaras, destroy their farms and burn their houses. While the local people in Behsood and Daimirdad districts suffer drought and natural disasters in these areas, the Kochi attacks make life harder and force them to evacuate the area and flee to neighbouring provinces. The defenceless civilian Hazaras in Behsood and Daimirdad are mostly farmers and do not have arms to defend themselves, while the official Karzai government decrees allow Kochis to carry weapons and arm themselves ; an injust legitimized persecution of innocent Hazaras. The Kochi attacks on Hazaras has a long history which repeats itself every year in the spring season. The clashes had stopped for a short period during the pro-Soviet regime in Kabul but then it began again thereafter during the rule of the Taliban and now the US backed Karzai regime. The Karzai led government does not only have no intention on interfeving and putting an end to the dispute, but it uses the Kochis as leverage to silence the progressive Hazaras. This year it is worse than the previous years; the Kochis are equipped and armed heavily by Al Qaeda forces and the Taliban to avenge Bin Laden’s death, as a result they target civilian Hazaras who are politically moderate and striving for democracy. Hazara ethnic group are the main target victims of Al Qaeda as they are essentially civilians unable to defend themselves. 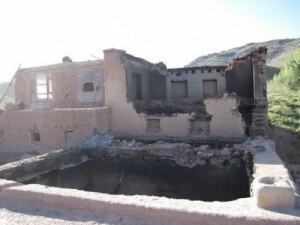 It is the responsibility of NATO to protect Hazara people from the Kochis’ bloody attacks. To every single Hazara around the world, help the victims of Behsood and Daimirdad district by representing their voices and cries for help. 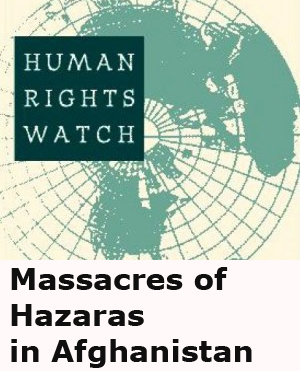 Hazara International Network calls up all Hazara intellectuals and human rights activists for an international campaign against Kochi attacks to alert the international community about their interference in Hazara lands in Afghanistan. Follow Hazara People for more updates on the issue. Posted by Admin on May 26 2011. Filed under Afghanistan, Afghanistan, Human Rights, Turkic News. You can follow any responses to this entry through the RSS 2.0. Responses are currently closed, but you can trackback from your own site.